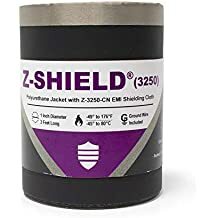 Shrink N Repair Xl - Heat Shrink Wrap - Heat Shrink - Products - ZT | Zippertubing Co.
Shrink-N-Repair® (XL), wrap-around heat shrink for larger wires or cables from 1” to 2” that need to be repaired or just need extra abrasion protection. Cover, wrap, repair, or bulk up your wires for better protection and organization. 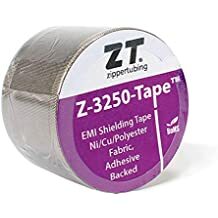 Zippertubing's Shrink-N-Repair® (XL) wrap-around heat shrink offers a unique solution to repair damaged, cracked or chafed wires and cables. This UL recognized indoor/outdoor wire repair heat shrink is not your standard heat shrink, the Shrink-N-Repair® wrap-around heat shrink is thicker and offers more abrasion protection where it’s needed. This product can be used in any automotive, airplane, industrial, commercial or residential industry. The Shrink-N-Repair® comes standard as a 1 stick or 3 foot roll and can be cut to your desired length and width covering 1” to 2” diameter wire repairs. Unlike other forms of heat shrink that are tubes, the Shrink-N-Repair® is a wrap that wraps around your wires. You’ll never ever again need to slip, disconnect or re-wire prior to installation again! The only tools that you’ll need are scissors and a high temperature heat gun. How is the product installed? It’s as easy as open, cut, wrap, stick and heat. Save time and get better protection on any job with Zippertubing’s Shrink-N-Repair® wrap-around installation. Look for other products or custom applications from Zippertubing® on Amazon or zippertubing.com. One size fits most repairs from 1" to 2"